The sounds of Motown echoed throughout Malvern Retreat House at a two-day retreat for women organized by archdiocesan Catholic Social Services (CSS). On May 14 and 15, more than 110 beneficiaries of CSS’s Housing and Homeless Services division sang, prayed and listened to spiritual conferences designed to renew their relationship with God and with themselves. 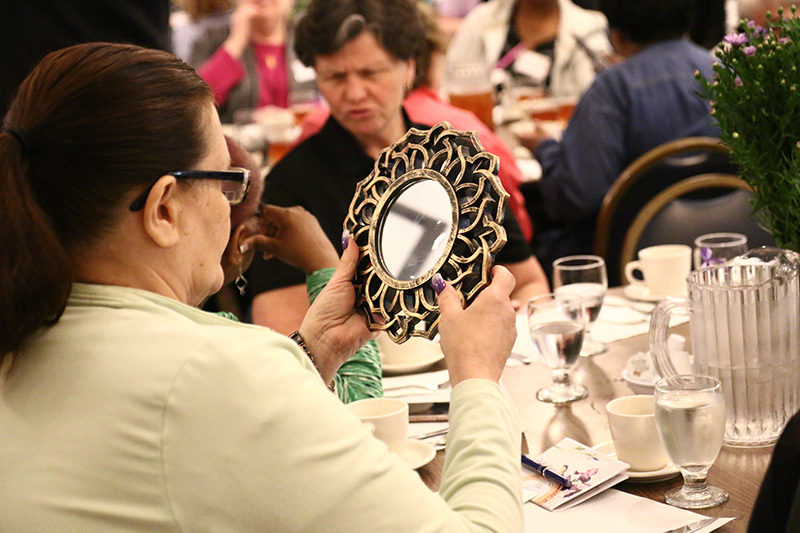 During her presentation, Sister Lynn asked the women to pass around a handheld mirror and look at their reflections while listening to “Isn’t She Lovely” by Stevie Wonder. Now in its fifth year, the retreat is fully funded by Malvern Retreat House, which partners with CSS to offer the event. Transportation, meals and accommodations are completely covered through donations to the Malvern Cares program, enabling the women — who face challenges from homelessness, addiction and mental illness — to receive intensive pastoral care. The participants named their group in honor of Dorothy Day, an American journalist and Catholic social activist who has been designated a Servant of God by the Catholic Church. As a co-founder of the Catholic Worker Movement, Day promoted social justice, nonviolence and practical assistance to the marginalized. Attendees enjoyed moments of quiet prayer throughout the retreat center’s spacious grounds in Malvern, Chester County. Many women accompanied Father Christopher Walsh as he led a walking meditation through the outdoor Stations of the Cross. 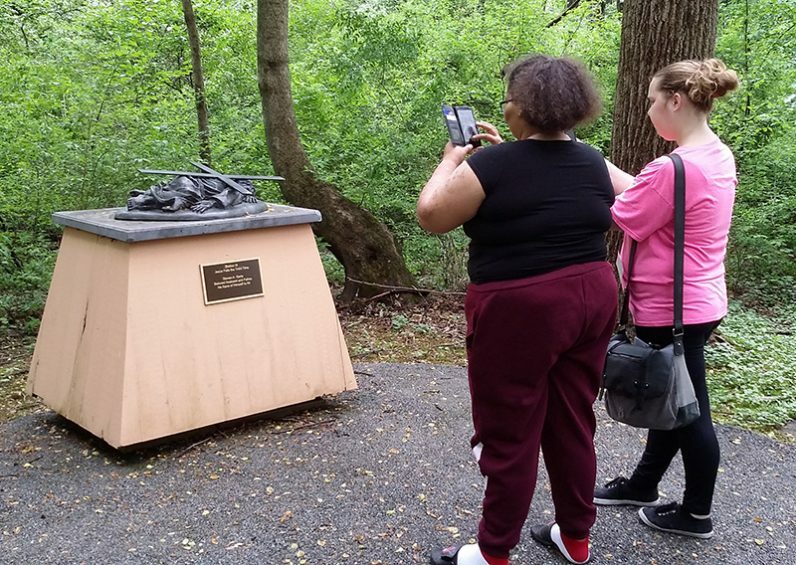 “The great challenge of our times is not to look at others as objects, but as people,” Father Walsh said at the tenth station, which recalls when Christ was stripped of his garments prior to crucifixion. Father Walsh’s remarks, which related the events of Christ’s passion to the women’s own life experiences, evoked both tears and laughter. 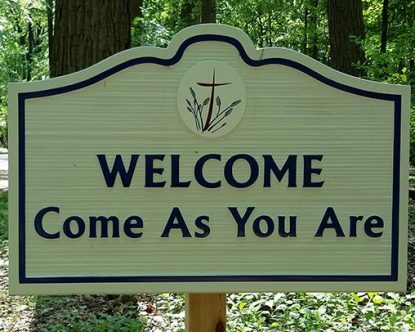 “If you didn’t become a priest, would you have become a comedian?” asked one participant. Later that evening, Father Walsh anointed the women’s eyes while praying for the restoration of their spiritual vision. Michelle, who had “literally lost everything,” felt a renewed sense of faith during the retreat. 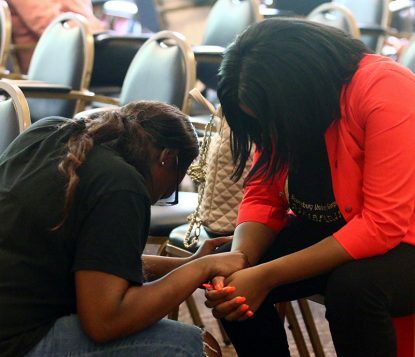 Minta Brown challenged her fellow participants to deepen their understanding of God. God Bless Father Chris and his mother who I knew from different bus trips love & prayers Paul. God Bless all women. Jesus was close to all women.